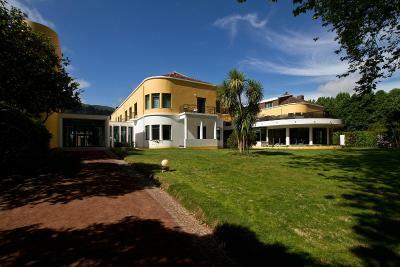 Lock in a great price for Terra Nostra Garden Hotel – rated 9.4 by recent guests! Great staff, very helpful and approachable. Clean room. The 24h access to the thermal waters was great. Beautiful garden too! The breakfast included is absolutely delicious with plenty of fresh local options. The guest access to the garden and thermal bath is a huge bonus too! LOVED our stay here. Super comfortable bed and clean and spacious room. The staff are great. Amazing breakfast with plenty of choice and delicious fresh juice every day. It is a brilliant hotel based on those aspects alone, but then you add in the botanical garden and the thermal pool & jacuzzi and you are literally in a bit of paradise. Loved the fact that you could go to the pools outside in Terra Nostra Garden in hotel bathrobes. Beautiful hotel loved the gardens and hot springs. Very clean. Had dinner and breakfast , Delicious! Staff friendly and helpful. It is a beautiful hotel in an extra beautiful garden setting. There are thick towels and robes to wear to the three thermal pools and flip flops are supplied as well. The terraced bar is a nice place for a meal or snack. The staff at Terra Nostra understand about gluten free food and they are very accommodating. There is a well stocked beverage cooler in the room and each room has a small patio with lounge chairs. Terra Nostra Garden Hotel This rating is a reflection of how the property compares to the industry standard when it comes to price, facilities and services available. It's based on a self-evaluation by the property. Use this rating to help choose your stay! Located in a valley surrounded by trees, Terra Nostra Garden offers elegantly decorated rooms. Next to the Terra Nostra Botanical Park, it features indoor and outdoor pools. Free parking is available, upon request. 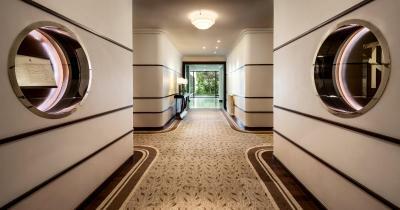 The hotel’s interior is renovated in Art Deco style, blending in harmoniously with the environment. 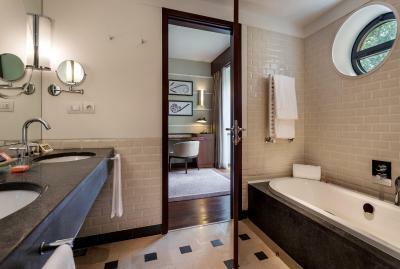 All rooms are decorated in neutral tones, and have wooden furniture. Free WiFi is available throughout the hotel. Guests can start their day with a breakfast buffet, before renting a bicycle to explore the area. 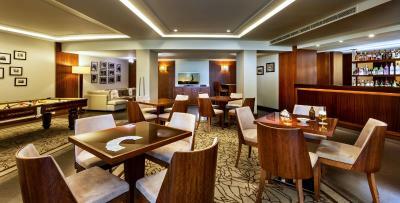 The hotel’s restaurant serves local dishes, while the bar offers refreshing drinks. Packed lunches are also available. Located in the Furnas Valley, Terra Nostra Garden Hotel is surrounded by calderas, mineral and thermal springs. It is a short drive from volcanic beaches, forest areas, and two golf courses. 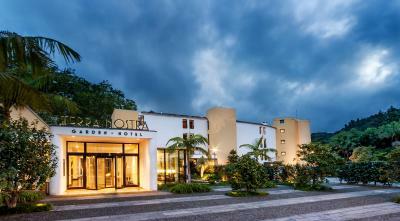 Ponta Delgada Airport is 21 mi away, and the hotel offers free public parking on site. A car rental service is also available. 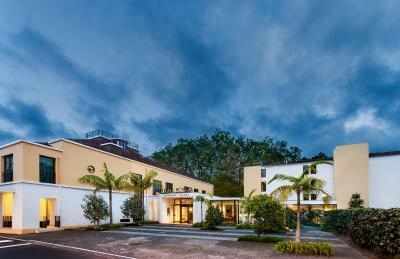 When would you like to stay at Terra Nostra Garden Hotel? This double or twin room comes with a street view. The air-conditioned room includes free WiFi, a flat-screen TV, mini-bar, private bathroom with a bathrobe and free toiletries. Bensaude Hotels are the obvious choice for those who search for unique holidays at a unique destination. 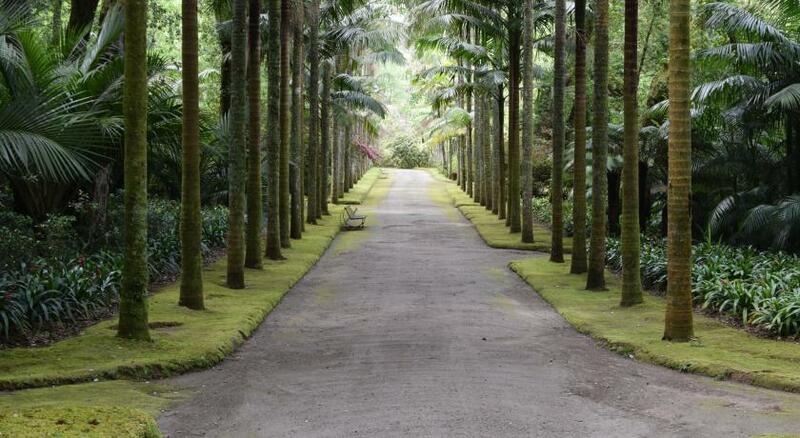 With various hotels in the Açores, Bensaude offers all the comfort that somebody who cares about you can give. 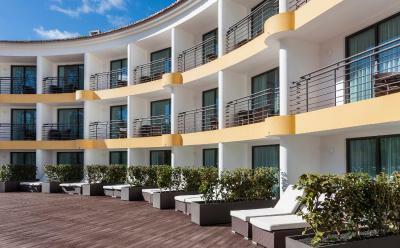 House Rules Terra Nostra Garden Hotel takes special requests – add in the next step! Terra Nostra Garden Hotel accepts these cards and reserves the right to temporarily hold an amount prior to arrival. We should have stayed longer, one night is not enough. Everything was just perfect. The staff, the hotel, attention to details and small gifts for special occasions, the hot springs under the stars, the breakfast, the bed and pillows. Everything. On the day of check out you can still enjoy the park till 18:00. 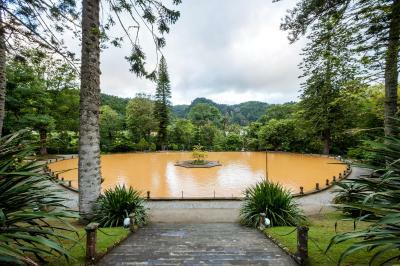 Furnas is located in a nice green valley but I think that's why it was also a bit dark, gloomy and misty during our stay there every day. But when we took the car and drove out of the valley each time, we surprisingly saw that the weather was not that bad, either. So don't be stuck at the hotel if you think it's wild out there! Just set off! ;) The hotel was worse than I expected. It benefits its environment and the wonderful hotsprings nearby but doesn't offer much itself! Everything was a bit impersonal and boring without any lovely interesting touches! The central heating didn't work properly and it was cold in the room, so that I had to ask for an extra blanket. 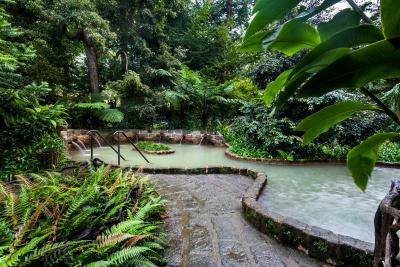 The hotel is located in the middle of a lovely big botanical garden where you can have the 24h access to the thermal waters as a hotel guest. The breakfast was very tasty. You can either go to the buffet and help yourself or order your breakfast to your table. There is also a nice selection of freshly squeezed juices every morning. There are a few fabulous sights which are just a stone's throw away from the hotel. Nothing major, just the breakfast buffet is a bit strangely organized. If you want to add some walnuts and yoghurt to your cereals you have to collect these from three different tables. Same goes for the cheese etc. Of all the hotels I visited in the world, only one can rival this. With the art deco architecture and furnishings, the extensive botanical garden and the hot-spring pool, it is unique. While breakfast and lunch at the bar were both terrific, our experience at dinner wasn't great and I received a mouldy jam with room service. The staff, however, handled both well. Loved the hotel and especially the gardens, which were perfect for daily walks! The average age was a little older than we expected--read: mostly retired people sprinkled with a couple honeymooners or families--but we had a nice, relaxing time regardless. The breakfast was excellent. Also had a lovely massage at the spa. Would have liked a room with a balcony overlooking the garden. There were many, but it seems most were not being used. Since one has to walk the the garden and pools, it would be good to be given flip flops (most people seemed to know to bring them). We did not try the restaurant because we heard it was "expensive and pretentious." The environment is stunning: hot spring pools, lovely indoor swimming pool, spa facilities, botanical garden open 24/7. The gardens are lovely and large to walk through (easy to take a power walk there). Breakfast was substantial. We did not have dinner in the restaurant, but ordered food from the bar, which was fine. There are other good restaurants nearby. Try Tony's Restaurant--not the bar (not great atmosphere, but the food was better and less expensive than almost anywhere else on the island). And the restaurant at A Terra Fornaria has a great atmosphere and is trying to be au courant. It doesn't quite make it, but the food is decent. Everything! It’s Heaven on Earth!